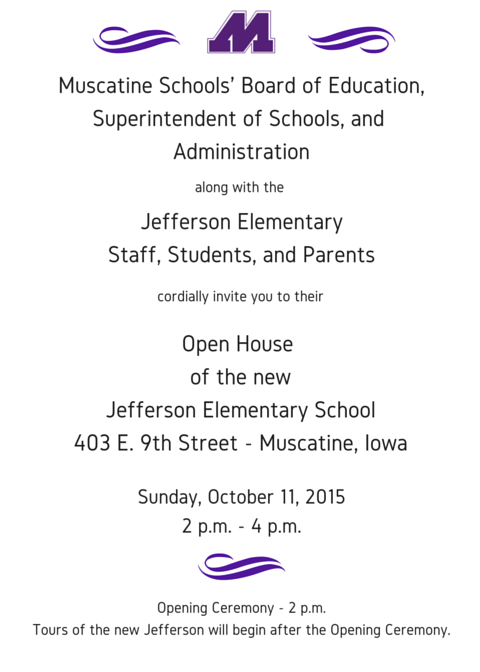 Join us in celebrating the opening of Jefferson Elementary with a community-wide Open House!! The Open House will be held on Sunday, October 11, 2015 from 2 p.m. to 4 p.m. The Opening Ceremony will begin at 2 p.m. Tours will be provided throughout the open house at the old and new Jefferson buildings after the Opening Ceremony.